The court granted defendant's alternative motion to transfer venue and rejected plaintiff's argument that judges in the current forum were more familiar with patent law due to participation in the Patent Pilot Program. "[T]he program does not necessarily enhance the patent expertise of the participating districts vis-à-vis other districts. Instead, it enhances the patent expertise of participating judges within a district vis-à-vis other judges in the same district. Moreover, if the program is made permanent, Congress will likely extend it to all districts, rather than leaving some districts in the program and creating the impression that they are specialty patent courts. . . . Participation in the program thus should not weigh in the venue transfer analysis." The court granted plaintiff's motion for a preliminary injunction regarding its touch screen device patent. "[Plaintiff] argues that a forward-looking money damages award would be insufficient because [defendant] is a foreign company with no assets within the United States. . . . [Defendant] argues that it is a reputable business that does business in at least sixteen countries, so collection of a judgment against it would not be difficult. . . . Nonetheless, the Court is persuaded that it may be difficult or impossible to collect on a money judgment because Defendant currently is a foreign entity and this alone is sufficient to show that [plaintiff] will likely be irreparably harmed." The magistrate judge recommended severing plaintiff's claims against four defendants into separate actions for misjoinder. "Plaintiff asserts that all Defendants violated every Patent. There is no allegation, however, that these alleged violations are related. . . . Plaintiff suggests that all that is necessary to join unrelated Defendants who have allegedly committed unrelated acts of Patent infringement, is that the Patent be 'the same.' The Court is not persuaded." The court denied defendants' motion for summary judgment that plaintiff's DNA sequencing patent was invalid for failure to timely pay a maintenance fee. "[T]he Federal Circuit has considered the issue and held that a district court has no obligation or authority to analyze whether a patent has expired where the submission of a deficiency fee payment is accepted by the PTO pursuant to 37 C.F.R. § 1.28(c). The court declines to accept defendants’ invitation to find that the Federal Circuit would have held differently had a more thorough review of 35 U.S.C. § 41 been undertaken by the panel." The court granted in part defendant's motion for sanctions for evidence tampering and spoliation and excluded all of plaintiff's testing of the accused devices. "The [defendant's] SYSTEM and ALERT logs automatically log critical file information. However, these logs in the [defendant's] devices in [plaintiff's] possession do not reflect the testing that [plaintiff] claims to have performed. This testing was the basis for [the] statements that would support [plaintiff's] claims. . . . Without the log information, [defendant] is effectively deprived of the opportunity to examine and verify the purported testing, inspection or other uses and results of the [accused] devices allegedly performed by [plaintiff]. . . . [Defendant] has requested preclusion of evidence and/or dismissal of this case together with attorneys’ fees and costs as sanctions. Terminating sanctions would be excessive. . . . Here it is appropriate to simply exclude any results of [plaintiff's] testing from evidence and to award [defendant] its expenses, including attorneys’ fees in this motion." The court dismissed all but the first-named defendant in plaintiff's infringement action for improper joinder. "Plaintiff brings claims of patent infringement against manufacturers of competing digital wireless audio products. Plaintiff’s Response contends that each claim arises from the same transaction or occurrence because the products use the same or similar infringing technologies. For example, [two defendants] allegedly incorporate 'Bluetooth v. 2.1' into their products, and it is that component technology that allegedly infringes Plaintiff’s patent. . . . Nonetheless, 'the complaint [or Response] contains no allegations that defendants have engaged in related activities or have otherwise acted in concert.' The fact that some of the products incorporate the same wireless technology does not alter the fact that Plaintiff brings suit against unrelated defendants for independent acts of infringement." The magistrate judge recommended denying defendant's motion to sever plaintiff's infringement action against it for improper joinder. "[Defendant] argues that this Court should adopt a standard in accordance with various district courts throughout the country that recognize that, 'in the context of patent infringement cases, similar acts of infringement do not meet the ‘same transaction’ test simply because multiple parties make or sell similar products alleged to have infringed the same patents.' However, the Federal Circuit, in an unpublished order on a writ of mandamus, recently upheld this District’s decision in [another case] on exactly the argument presented by Defendants. . . . Therefore, the Court sees no reason to adopt a standard other than the one adopted by the Fifth Circuit, and affirmed by the Federal Circuit." The court denied defendant's motion for summary judgment that plaintiff's user interface patent was invalid as indefinite. 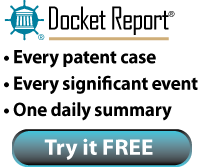 "[Defendant] argues that the [patent-in-suit] is invalid because its use of the term 'heuristic' renders the patent indefinite. . . . [Defendant's] primary evidence of indefiniteness consists of statements in depositions of nine of the inventors listed in the patent, most of whom concede that 'heuristics' is 'sort of a vague word' or are otherwise unable to define it. But defining a word is often more difficult than grasping its meaning in a specific context. It is 'particularly inappropriate to consider inventor testimony obtained in the context of litigation in assessing validity under section 112, paragraph 2, in view of the absence of probative value of such testimony.' And in fact some of the inventors were able to define the term . . . and both parties were able to offer definitions for purposes of claim construction." The court denied defendant's motion for judgment on the pleadings that plaintiff's internet search method patent was invalid for claiming unpatentable subject matter. "[Defendant] argues that 'the claims of the patent do nothing more than recite an abstract idea [because when viewed] in their best light, the claims of the [patent-in-suit] are directed at the idea of categorizing a ‘network page’ by the page’s copyright status and whether the page is related to ‘transacting business’ or ‘providing information’ and then controlling access to the network page based on its characterizations.' However, [defendant] has not shown under the applicable 'clearly established' standard of Rule 12(c) that the concepts embodied in the [patent] are 'so manifestly abstract as to override the statutory language of Section 101.'" Judge Davis Rejects Proposal for Early "Mini-Markman"
The court denied defendants' motion for a mini-Markman hearing and summary judgment schedule in a large, multi-defendant case. "Given the developments in this case since the [case-management conference 7 months ago], an early Markman hearing is not necessary to promote efficient and timely resolution of the case. First, the early mediation appears to have been successful because many of the original 124 defendants have now been eliminated from the case. . . . Second, the five moving defendants seek construction of a representative set of nine terms. . . . Nine terms is a full Markman, not a mini-Markman." The court granted defendants' motion to dismiss plaintiff's infringement action for failing to allege that a single party performed every limitation of a method claim. "Plaintiffs have failed to allege which Defendant took which action, under each element of each claim. And in such instances as they may apply, Plaintiffs have also failed to articulate those facts which may establish the required agency relationship under a direct infringement, vicarious liability theory. Simply stated, alleging that 'Defendants' did something is insufficient." The court granted plaintiff's motion in limine to preclude defendants from presenting evidence of a patent as prior art where defendants failed to present expert testimony concerning the priority date of the patent-in-suit. "At issue is whether the parent [patent application] contained sufficient disclosures such that 'one skilled in the art, reading the original specification, would immediately discern the limitation at issue in the parent.' The focus is not on whether the parent application contained the express words of the claim, but rather whether the disclosures convey that plaintiff "was in possession of the invention" at the time of the prior application. Defendants, however, have offered no expert testimony on this issue. The court thus finds that defendants have not demonstrated that plaintiff is not entitled to [the claimed] priority date. Given this failure, [the patent to be excluded from evidence] does not constitute prior art." The court denied plaintiff's motion to compel the production of customer-specific damages discovery. "[T]he issue appears to be whether plaintiff is entitled to the names of [defendant's] customers. On the state of the current record, the court is unable to conclude that plaintiff's need for this information, which is typically protected as confidential, outweighs the potential harm to [defendant] resulting from disclosure. Of particular concern is that the names of [defendant's] customers, if produced to plaintiff during discovery, would have to be disclosed to . . . a co-defendant. Because [the defendants] are direct competitors in the telecommunications industry, disclosure of this information is presumptively harmful to [defendant]." The court denied defendant's motion in limine to exclude plaintiff's damages expert's upward adjustment of the hypothetical negotiation starting point to account for lost convoyed sales. "[I]t was clear that [plaintiff] expected convoyed sales after licensing a compatible version of Java to [defendant]. [Plaintiff's] expectations were catalogued qualitatively in a variety of documents and quantitatively in financial projections. . . . While the amount of adjustment involves an element of uncertainty, [plaintiff's expert's] quantitative analysis was based on sufficiently reliable financial projections. The Federal Circuit has upheld a hypothetical royalty based on a contemporaneously created business plan projecting revenue. The convoyed-sales projections were contemporaneously calculated by . . . a senior director of business operations at [plaintiff]. [Defendant] does not explain why [she] would have projected an overly optimistic amount." The court denied without prejudice defendants' motion to compel discovery regarding plaintiff's settlement negotiations where plaintiff already produced the settlement agreements. "Defendants have not demonstrated that the settlement agreements are inconsistent to a degree that discovery of the actual settlement negotiations is necessary to determine how the patented technology was previously valued. [Plaintiff's] former settlement agreements establish a rational and consistent royalty rate. Whether [plaintiff's damages expert's] opinion regarding the royalty rate is the proper measure of the value of the patent is question to be answered by a jury at trial." The magistrate judge recommended granting defendant's motion to dismiss plaintiff's claim for contributory infringement where plaintiff pled that there were substantial noninfringing uses. "Plaintiff has pled CRESTOR® has become a widely prescribed statin, and [for 7 years], CRESTOR® was approved only for the treatment of hyperlipidemic persons. The [patent-in-suit] claims only a method for treating nonhyperlipidemic persons; therefore, the treatment of hyperlipidemic persons through the administration of CRESTOR® is clearly noninfringing. . . . Because Plaintiff’s allegations effectively state there are substantial noninfringing uses for CRESTOR® and its label/package insert, Plaintiff cannot establish at least one element of a claim of contributory infringement -- that the component, material, or apparatus has no substantial noninfringing uses -- and consequently, Plaintiff has failed to state a plausible claim for relief based on contributory infringement." The court granted plaintiff's motion for judgment on the pleadings as to defendant's claim for willful infringement. "Merely providing notice that applications are pending is not sufficient because '[f]iling an application is no guarantee any patent will issue and a very substantial percentage of applications never result in patents.' While the Federal Circuit has affirmed the sufficiency of notice of a pending application, it did so only where it was established that the defendant 'knew exactly when [the] patent came into existence and indeed had several months advance notice.'. . . Here, there is no allegation whatsoever that [plaintiff] had any advance notice of the allowed claims or even that any claims would be allowed." The court granted plaintiff's motion to dismiss defendant's patent misuse claim because defendant's pleading failed to satisfy Rule 9(b). "While the Federal Circuit does not appear to have determined what pleading standard applies, the Court agrees with several courts’ holdings that to the extent a patent misuse claim rests on allegations of inequitable conduct, that claim must be pleaded with particularity under Rule 9(b). . . . To the extent that the [Matsushita Elec. Indus. Co. v. CMC Magnetics Corp., No. C 06-04538 WHA (N.D. Cal. Nov. 13, 2006)] decision might be read to imply that claims of patent misuse based on inequitable conduct need not be pleaded with particularity, the Court disagrees with that implication and instead follows [Appelera Corp. v. Mich. Diagnostics, LLC, 594 F. Supp. 2d 150, 163–64 (D. Mass. 2009); United Fixtures Co. v. Base Mfg., No. 6:08-cv-506-Orl-28GJK, 2008 WL 4550212, at 2–5 (M.D. Fla. Oct. 8, 2008); Advanced Cardiovascular Sys., Inc. v. Medtronic, Inc., No. C-95- 3577 DLJ, 1996 WL 467293, at 13 (N.D. Cal. July 24, 1996)]." The court granted in part defendant's motion for summary judgment on plaintiff's use of the entire market value rule in calculating lost profit damages. "Evidence that the patented sensor technology contributes to the safety of the infusion pump . . . does not warrant presentation of the entire market value rule to the jury. . . . According to Plaintiff’s argument, it is enough if the patented technology contributes to an intermediary feature that drives customer demand. The logic of this argument, while initially appealing, fails upon closer inspection. As Defendant points out, in this case there is more than one component that contributes to the safety of the pump. Under Plaintiff’s argument, each component could serve as the basis for customer demand. That result, however, is antithetical to the entire market value rule. . . ."
The court granted plaintiff's motion to dismiss defendant's declaratory judgment counterclaims following the execution of a unilateral covenant not to sue that applied only to defendant under its current ownership. "[Defendant] argues that the Covenant’s limitation to [it] under its present ownership does not significantly remove an actual case or controversy because it prevents [defendant] from conducting its business. . . . [Defendant] has shown how the Covenant might limit its future business opportunities. But it has not shown that an actual controversy continues to exist between the parties of sufficient immediacy and reality to warrant the issuance of a declaratory judgment." The court granted in part plaintiff's motion to preclude the testimony and reports of defendants' PTO experts. "[B]ecause the proposed experts lack experience in the field of the relevant art, they may not testify on the issue of validity. . . . [N]either [expert has] experience in the art of material moving blades or snow moving apparatus, the subjects of the patents in suit, and therefore, it is clear that neither can be considered experts qualified to render an opinion on whether or not prior art renders any of the asserted patents invalid. Similarly, neither [expert has] expertise on the issue of what constitutes inequitable conduct for purposes of rendering an issued patent invalid. Although both proposed experts have considerable experience regarding practice before the PTO, neither. . . are attorneys, and neither have specialized experience or knowledge with respect to the legal standards that govern inequitable conduct analysis under federal law in federal court."